Surveys on the abundance, distribution, and migratory behaviour of this fish are urgently needed. Once the ecology of the species is understood, the protection of spawning sites, rearing areas, and migratory pathways is a priority. In Cambodia, these areas likely include sections of the Tonle Sap Lake, the Tonle Sap River, and the mainstream Mekong River. Small no-fishing zones in these habitats would better protect Giant Carp and many other Mekong River species. Research is especially needed into the migratory patterns of the species. It is protected in all the Mekong states. The species has been named the national fish and is protected by law in Cambodia. The use of large mesh gill nets is not allowed in some stretches of river in Cambodia. The Giant Carp is recorded from larger rivers and floodplain areas in the Maeklong, Mekong and Chao Phraya basins in Thailand, Cambodia, Lao PDR and Viet Nam. Wild populations of the species no longer occur in the Chao Phraya River (Humphrey and Bain 1990, Roberts and Warren 1994). Over the past 20 years, the abundance of this species has fallen sharply. Wild populations no longer occur in the Chao Phraya River (Humphrey and Bain 1990, Roberts and Warren 1994), and the species is very rare in the Thai and Lao Mekong and associated tributaries. Roberts and Warren (1994) report only six fish from over 1,500 hours of visits to Thai fish markets. Its spawning areas are not known. It is harvested before it reaches maturity, and recruitment has declined. In Cambodia, interviews with fishers report that no fish larger than 150 kg have been harvested since 1994 (Hogan et al. unpub. 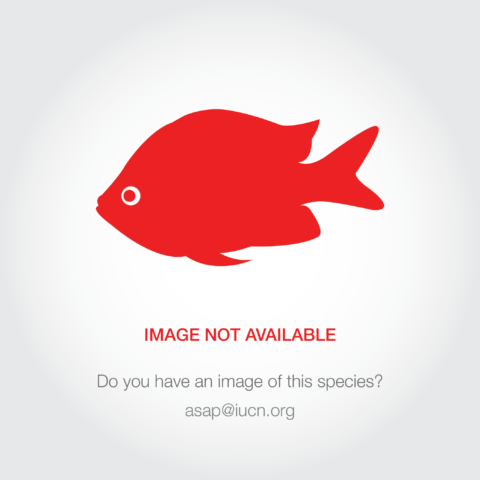 data); five fishers reported catching fish of that size between 1970 and 1994 (Hogan et al. unpub. data), and average size of fish has decreased by 89%, and total catch per fisherman by over 95%. Fishermen estimate a 78% decline in total harvest since 1980 (Hogan unpub. data). In the Tonle Sap River bagnet fishery, catches of adult fish have dropped from 4–5 per net per year in the 2001 and 2002 seasons, to 2–3 fish in 2003, one fish in 2004, and no fish in 2005. Other estimates (Mattson et al. 2002) put the total Cambodian catch at 200 tonnes in 1964, 50 fish in 1980, and ten fish in 2000. These data indicate a significant decline in populations of adult fish. Below the Khone falls, only one (smaller) specimen was recorded in seven years of surveying (1993–1999; Baran et al. 2005. ), where previously it had been an important fish in local catches. Based on catch data, the species is inferred to have declined by between 80-95% over the past 30 years. Many rivers in the species range are impacted by urbanisation, dams and pollution (agricultural, urban and industrial) leading to habitat loss and degradation. The species is also highly valued in fisheries and is over-harvested, and this represents the greatest threat to the species, especially the gill net fishery. Populations expanded during the Khmer Rouge period due to the removal of fishery pressures, and declined rapidly from the 1980s onwards. Primary threats to giant barb include over-harvest and habitat fragmentation. Over-harvest is of particular concern because the Giant Carp is commercially valuable, slow growing, large-bodied and often a component of mixed stock fisheries in areas of heavy fishing pressure. It is expected that the development of mainstream dams on the Mekong will lead to further declines in the remaining populations through disruption of the species short-distance migrations and further loss of recruitment, however further research is needed on the migratory patterns of the species.